St Dupont is a very prolific firm when it comes to making limited edition pens. One of the most admired series of limited edition pens are those inspired by Andy Warhol’s famous paintings. 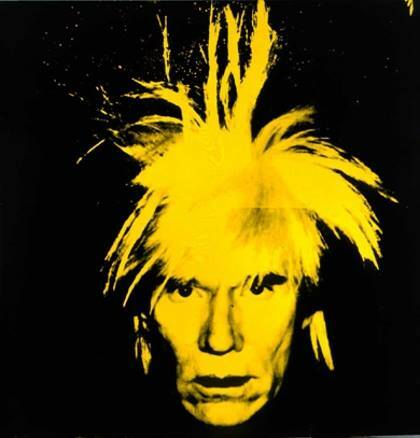 The pop artist is one of the most influential cultural personalities of the twentieth century. His paintings and photographies have been seen around the world and are some of the most paid for pieces of art. 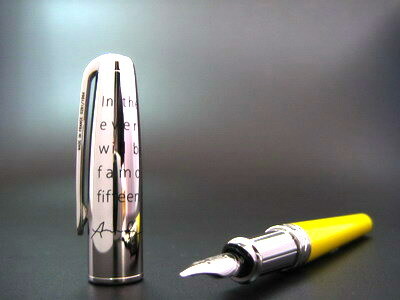 The ST Dupont Andy Warhol fountain pen is inspired in the famous Self Portrait the artist made between 1963 and 1964. 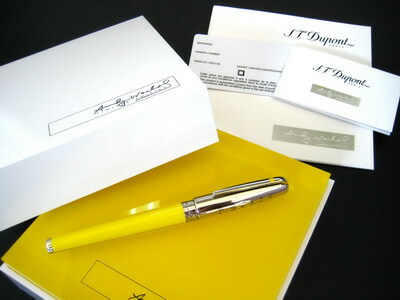 The pen is finished in yellow lacquer, to capture the paintings live color, and in palladium plated trims and cap. Warhol’s most quoted sentence is “In the future, everyone will be world-famous for 15 minutes.” Many interpretations have been made of this statement, and St Dupont decided to immortalize it even more by adding it to the design of these great pens. The cap has these famous words written in black lacquer, as well as Andy Warhol’s signature. 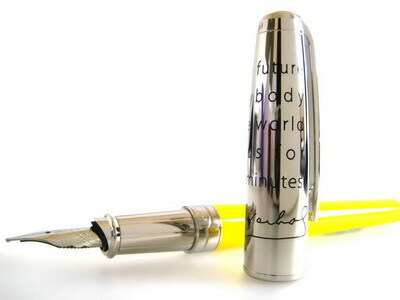 The nib is made of rhodium plated 18K gold. The pen charges by cartidge or converter, and the cap closes by ST Dupont’s carefully measured click-action. The pen come sin a very nice and artistic white presentation box, with a yellow inside. This is a pen to have in your collection. A bright design, a nice pen and a world famous inspiration. Get one know at Iguana Sell! !